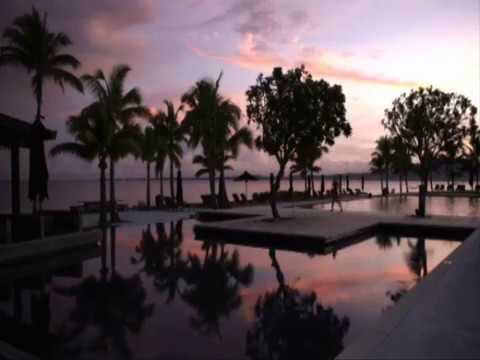 Thinking of getting married in Fiji? Enjoy a gorgeous, stress-free wedding celebration and the Fiji honeymoon of your dreams at the Hilton Fiji Beach Resort & Spa. Weddings at Hilton Fiji Beach Resort & Spa are truly magical, bringing elements together that will make your special day one of everlasting memories that invoke the five senses. Say ‘I do’ in our gorgeous tropical setting, and enjoy these extra special touches, with our congratulations! Our wedding vow options are sure to create indelible memories for you to treasure forever. Say 'I do' barefoot on the beach, with stunning views out to the Mamanuca Islands, or select a private beach bure or pavilion for an intimate ceremony. Enjoy an elegant, effortless celebration with those who love you. We pride ourselves on the intimate and special feel of our weddings – because of this, we cater for wedding parties of up to 100 guests. Treat your guests to exquisite cuisine in a beautiful setting at our two stylish beachfront options for your reception banquet. At Nuku, enjoy a set menu or BBQ on the beach or the relaxing Frangipani Deck overlooking the ocean. At Maravu, our Pan-Asian delicacies in a cocktail function, buffet or set menu (Maravu may be hired for exclusive use subject to availability). At Hilton, we’re trusted the world over to deliver smoothly-run, successful events of all kinds. Our wedding planners will discuss the bespoke touches we can offer to make your day extra special, and we offer a wide range of luxury accommodation options for you and your wedding party, from studio rooms to larger villas for families and groups of friends.